Make a statement with this sultry design Mardi Gras eye mask. Made of a durable plastic, with a pyramid forehead piece. 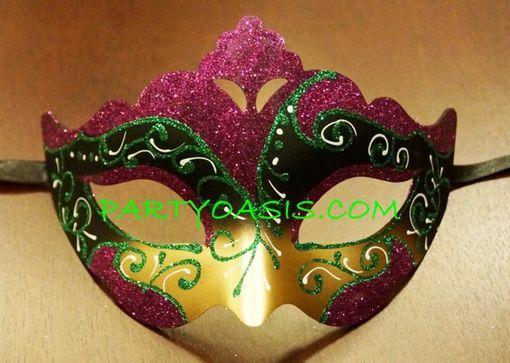 It features vibrant gold paint, purple and green glitter trim, with white swirl accents.